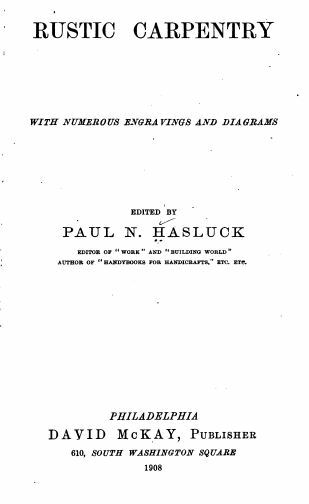 This handbook contains, in a form convenient for every day use, a comprehensive collection of articles on Rustic Carpentry, scattered over thousands volumes of work in regular articles that were edited by this author in weekly columns. Learn old school style carpentry from the turn of the last century. Great for the old woodworker as well as the woodworking student.